After eight seasons playing alongside NBA All-Star Kevin Durant, Russell Westbrook had the Oklahoma City Thunder all to his own in the 2016-17 NBA Season. Everyone knew how incredibly athletic and skilled Westbrook was but I don’t know if any body would predict this season he would achieve all he did this season. The most important stat for Russell Westbrook during the 2016-17 NBA Season are his 42 triple-doubles. Yeah that’s right, he had a triple-double in more than half of his teams regular season games. 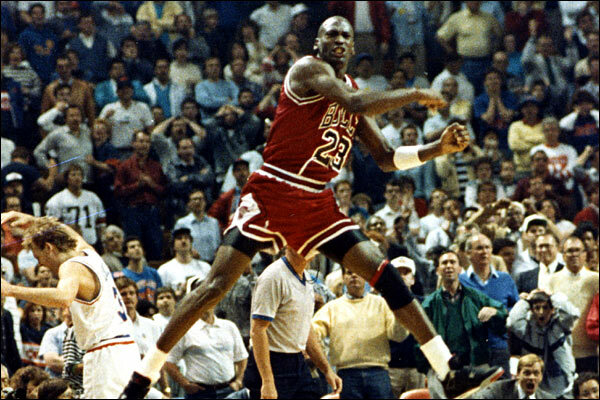 During the course of the season there was much doubt as to whether he could break the record of 41 triple doubles. As a fan it seemed as almost every night he was ending a game with a triple-double. This was one of the best regular season performances by any player in NBA history. Russell Westbrook’s historic achievement was made on April 9, 2017 in Denver Colorado against the Nuggets. In this game where he had his 42 triple-double of the season he did it in style by scoring 50 points. He moved ahead of NBA Legend Oscar Robertson that night who held the previous record of 41 triple-doubles in a single season. He finished the season with an average of 31.6 points, 10.7 rebounds, and 10.4 assists. It’s insane to thing about the fact he averaged a triple-double per game. At 28 years old he still has many more great years ahead of him and who know how many other records he will break before his career is over. On February 27, 2016 in a game between the Golden State Warriors and the Oklahoma City Thunder Stephen Curry made history yet again. Curry broke his own single season record for three-pointers made which was 286 by hitting 12 shots from beyond the arch to bring his season total to 288. In what many are calling the game of the season the Warriors were able to leave Oklahoma City with a 121-118 overtime victory in large part to Curry’s incredible play. Curry scored 46 points in this contest and his 12 three-pointers tied the single game record. Stephen Curry became the record holder for this statistical category during the 2012-13 season when he broke Ray Allen’s record of 269, Curry made 272 that season. He would break his own record two seasons later by making 286 three-point buckets during the 2014-15 season. This accomplishment of breaking the record again is even more amazing when you consider that fact there are about two more months left in the season. It will be exciting to see where this new record will end up and AmericanSportsHistory.com will keep you updated as the season comes to a close in April. 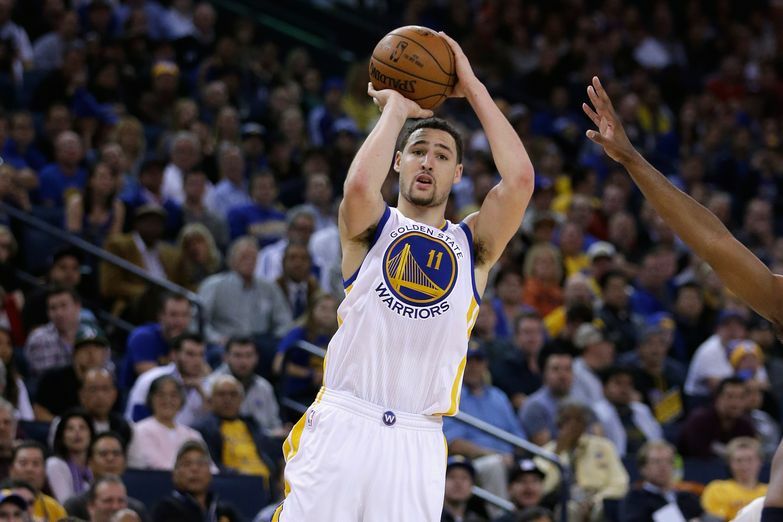 On January 23, 2015 in Oakland, California the Golden State Warriors Guard Klay Thompson scored 37 points in a single quarter. Thompson’s record setting quarter came in the 3rd quarter of a game between the Warriors and the Sacramento Kings. He made all thirteen of his shots, nine of which were 3-pointers (also an NBA record for a single quarter) during the amazing single quarter performance. Thompson scored a career high 52 points in the game. Thompson lead his Warriors to the 126-101 victory, bringing the Warriors season record to 36 wins and 6 loses. The previous record was set at 33 points. Both George Garvin (1978) and Carmen Anthony (2008) shared the previous record. The previous record for 3-pointers shot made in a single quarter was previously held by Michael Redd and Joe Johnson with eight. Since then the NFL Draft has involved thousands of players, many of which have gone on to become all time greats. Many more however went on to have careers that would earn them the dubious distinction of being called a “Draft Bust”. The most coveted position for any team is the first overall pick. The team that holds this position is usually in desperate need of a break out rookie that can turn their franchise around. There is only one chance for first overall greatness every year. There have been only 78 men who can call themselves the first overall pick in the NFL draft. The positions picked the most may not surprise you but the positions that were picked the least might shock you. The quarterback position has the title of the most popular first overall pick in draft history. Twenty seven QBs have been nabbed by teams with the most coveted draft spot. Ten of those twenty seven became pro bowl players, names like Eli Manning (2004), Peyton Manning (1998), Drew Bledsoe (1993) and Vinny Testaverde (1987) just to name a few. Only Troy Aikman (1989), John Elway (1983) and Terry Bradshaw (1970) had careers so great they were inducted into the Hall Of Fame. Twenty five Running Backs have been picked first overall. Seven of them became Pro Bowlers including Bo Jackson (1986), Billy Sims (1980) and Tucker Frederickson (1965). The Running Backs hold the record of most Hall Of Fame inductees with five. Running Back Bill Dudley (1942) was the first player at any position drafted first overall to become a Hall Of Famer. The most recent Running Back to be inducted into the Hall Of Fame is Earl Campbell (1978) who was drafted by the Houston Oilers. Defensive End’s have also been a very popular choice with eleven picked first overall. Defensive Ends Mario Williams (2006), Ed “Too Tall” Jones (1974), Dave Parks (1964) and Leon Hart (1950) were all voted to the Pro Bowl. Bruce Smith (1985) and Lee Roy Selmon (1976) were the only Defensive End’s to be inducted into the Hall Of Fame. Positions that were drafted the least with the top pick are Defensive Tackle (4), Offensive Tackle (4), Line Backer (3), Center (2) and Wide Receiver (2). Eight different positions have all seen the top choice. Wide Receiver, Defensive Tackle and Line Backer are the only positions to never have a first overall player reach the Hall Of Fame. 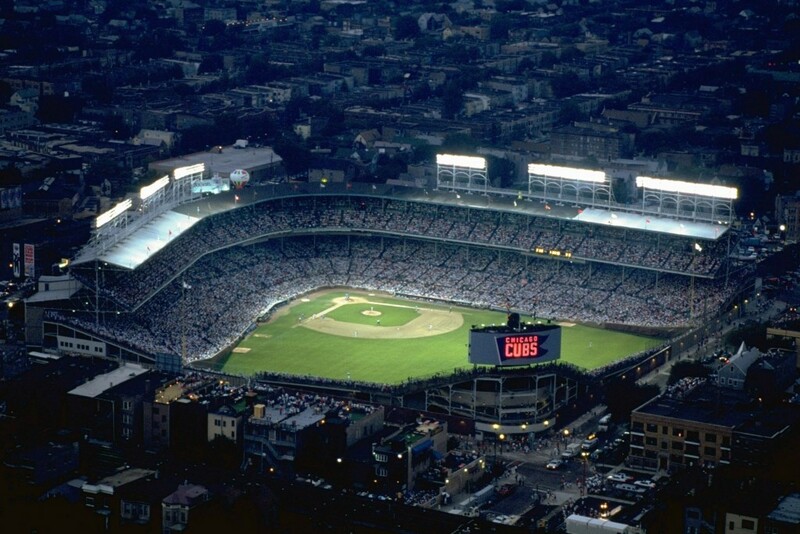 A few of the players drafted in the last decade will more than likely find a home in the Hall Of Fame. As of now the first overall pick has only been a future Hall Of Famer twelve of the seventy seven times. 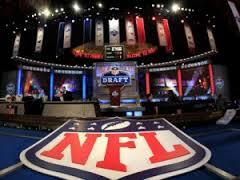 Who knows, we might see the next great NFL player drafted with the first pick tonight in the 2014 NFL Draft. 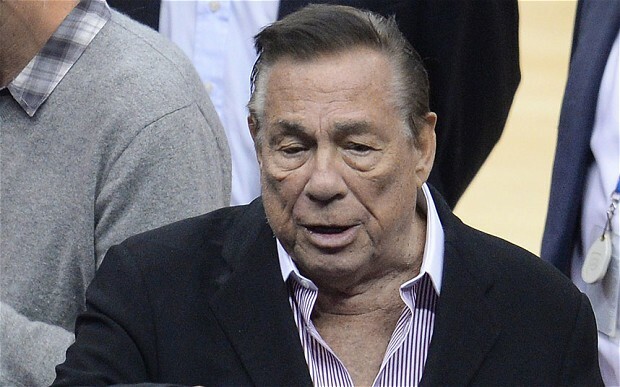 On April 29, 2014 the long time owner of the NBA’s L.A. Clippers franchise, Donald Sterling was banned for life from the game of Basketball. Sterling had purchased the team in 1979 and there had been controversy surrounding him over the last three decades. Much has been covered over the last week since the audio was released of Sterling making racial remarks. In the recording Sterling was speaking with his mistress about not having “black people” associated with he Instagram account. He also made reference to her bringing them to the games as well. His own team had reacted very harshly to the comments, which they should have. Their first game since the comments were released the team turned their warm up gear inside out and wore black arm bands during the game. The Clippers lost that game and are needing the relief that this announcement would create. 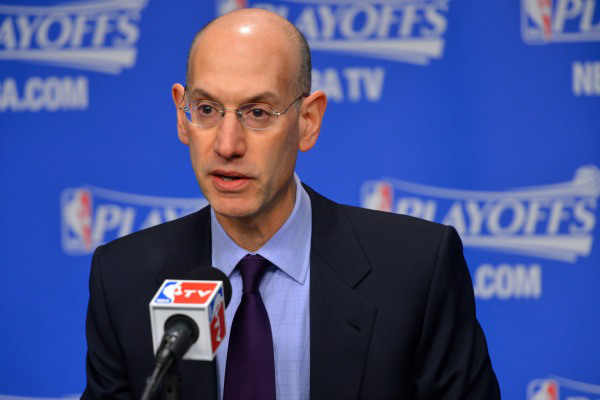 Much talk had swirled the sports world over what the new NBA Commissioner Adam Silver would do in response to these comments. Today Silver made it clear that these kinds of comments will not be tolerated in the NBA. Silver held a press conference at 2pm ET to made the announcement on how this situation would be dealt with. Along with the life time ban from Basketball he will be forced to sell the team and will be fined $2.5 million. Silver made a bold statement and one that will go down in NBA History as one of the biggest statements ever made by the League’s Commissioner.